Crunch day is tomorrow, when the WMSC meet to decide whether there is just cause to penalize McLaren for bringing the sport into disrepute - a charge that the council has already ruled upon. I had my say on the matter yesterday but today it seems that every other F1 site is giving their viewpoint. Autosport has an overview of the matter that seems a fair summary of the facts, Grand Prix dot com goes a bit further and joins with me in hoping that the court shows balance and fairness in its decision, but the pièce de resistance, an exclusive interview with Paul Stoddart of Minardi fame, is recorded by Pitpass. If you read nothing else on the subject, read this one; Stoddart is always forthright and he pulls no punches when speaking of the the pending WMSC meeting. What has become very clear (and little else has) from the involvement of the FIA in the "espionage case" is that F1 is sharply polarized into two camps. On one side Ferrari, the Italian press, some unlikely allies such as Flavio Briatore, and the tifosi have been demanding draconian punishment for what they see as McLaren's illegal use of Ferrari information to build this year's car. On the other, the British press, old F1 champions, many of the other team owners and the non-Ferrari fans have been calling for care and restraint in the FIA's handling of the matter, pointing out that McLaren's involvement has not yet been proved to be anything more than the legal technicality that Mike Coughlan was an employee of theirs. Maybe the FIA now has more damaging evidence, maybe not. That we shall see in due course, but what we can have no doubt about is that the extreme opinions and emotions raised by the events of this season have revealed how deeply the sport is divided. Ever since I started watching F1 in the early sixties, there have been suspicions that the FIA favors Ferrari above other teams; but now those suspicions have hardened into certainties in many minds as the governing body continues to bow to Ferrari's wishes, even when there is no need to. 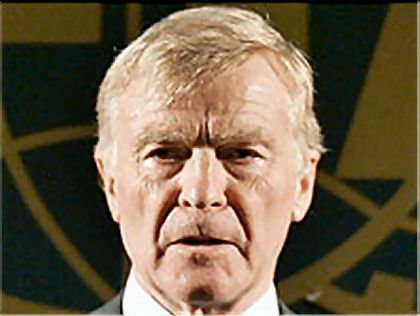 As an instance, the original ruling of the WMSC was not automatically subject to appeal but Max Mosley authorized that process after Ferrari's strenuous protests over the ruling. It is natural in a sport in which the stakes are high that the participants should be rivals and that their supporters be partisan in their views as a result. But, when feelings run so deep as to threaten the sport itself, something is wrong somewhere. In this dispute it seems that one side is so determined upon what it sees as justice that no thought is given to the damage done to the sport in pursuing things to extremes. On the other, suspicion of the FIA's motives is so ingrained that there is disbelief in the WMSC's ability to reach a correct and just conclusion. Whatever happens in that meeting tomorrow, it is difficult to see how such a polarization can be healed. If McLaren are seen to be getting off lightly, the matter will be pursued further in the law courts, we are told. And, if the team is penalized to the extent of handing this year's championship to Ferrari, it will forever be seen as a tainted award achieved through manipulation of the governing body. Thats why everyone misses Minardi! Yikes Clive, could you have picked a more chilling picture? Very 1984, V for Vendetta or any other movie that features an authoritarian dictator. No coincidence he's the son of a fascist, and that Hitler was a guest at his parents' wedding? That photo of MadMax is PERFECT.............for my dart board! "Against Stupidity, the Gods themselves contend in vain"
And in that you have summed things up perfectly, Fractal. I have not been able to write anything for Insight today, not only because I have been so busy keeping up to date over at F1 Sport, but also because the decision of the WMSC seems so completely devoid of reason and has left me speechless. I despair of the FIA. Having not seen its rationale for this decision (I question its revelation because I think it breaks the "no public trial of cases in the court system" laws, which are in force in all EU countries), I cannot judge whether McLaren committed a severe enough crime (or indeed any crime) to warrant a punishment of this severity. I can, however, question the logic of the punishment. On one hand, McLaren is to lose its 2007 Constructor's points, and possibly be barred from the 2008 Constructor's Championship. This implies guilt. On the other hand, the drivers will be allowed to race - and more confusingly, the team will still receive its TV and miscellaneous income. This implies innocence. The two positions are logically incompatible. McLaren cannot be guilty and innocent of the same crime. That the WMSA has seen fit to hand down a punishment implying both states is something of an indictment on their powers of logic and capacity to judge. Bring in the Court of Arbitration! The other thing is that all this could have been avoided if Ferrari had managed its information security properly. Having now been involved in two separate cases of information theft, Ferrari should look to securing its boundaries as a matter of urgency. It may enjoy winning championships in court, but if it put in adequate measures to prevent its rivals from acquiring its information, maybe it could win on the track at reduced expense. "Groups tend to condition their surroundings for group survival. When they deviate from this it may be taken as a sign of group sickness." Had Mclaren received info about the flexi-floor in the Ferrari then this would have been obtained illegally and obviously Ron Dennis knew about this. This proves that they had information that they should not have, had they revealed there source there, no penalty. This has nothing to do with the performance of the car and thus nothing to due with the drivers. They were racing legally. By giving them a massive fine it tell all the mid pack teams (except Toyota and Honda) that they shouldn't cheat because they cant afford to! It also was feature on American news channels..... Now thats a feat! If on the other hand, it is found that McLaren had information on how Ferrari used Bridgstone tires, then this would give the McLaren information that would be vital to them being competitive. There wouldn't need to be any solid information on this (such as 300 page documents) all that would be needed is a high ranking technical sabutor (which apparently isn't a word) which could give you knowledge retained in the brain. If this is the case we have big problems. Ferrari will be sure to push for the drivers to be booted out of the championship and we will have a long legal battle leading into 08. I have to write about the whole thing this morning and I still don't know what to say. Give me a while and I'll return to answer these comments. I'm not blaming the keyboard, I just can't spell! There, 'tis done. That's what I think, anyway. And we are all entitled to our opinion!